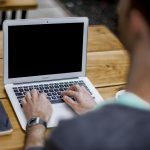 How can I start creating my own blog? To create a blog of your own, first and foremost thing to do is research well and have a clear idea as to what niche you would choose to begin writing on. Once you get enough idea about the niche you want to delve into you can start creating your own blog. Will I have problem blogging as I am not that tech-savvy? Everyone needs to start from the scratch. To master the art of blogging, you will have to learn the process besides possessing a creative mind. Though blogging is not much related to technical things but there are a few technical things that you need to have a basic idea to carry on with the process smoothly. The full form of RSS stands for ‘Really Simple Syndication’. It’s a tool that is used to let your audience know about your fresh new blog that gets posted via the XML specification RSS. What is the meaning of ‘niche’? In technical terms, the topic you chose to write on in your blog is called a niche. By following a niche, both your visitors and you will have a basic understanding of what the purpose of the blog is. Certain examples of niche are travel and living, health and fitness, food and photography and so on. Can I really earn money from blogging? Of course, you can earn from blogging. But to make sure you profit well, your blogs should be upto the mark to allow you an income. Also, initially you need to be patient and be focussed to make your blog better and popular before you start seeing the results and earnings. What does the term ‘above the fold’ mean? Your homepage is the place where all your latest blog posts or the popular ones are shown. So when a page is loaded, the first thing that shows is called ‘above the fold’. Right from when you start to scroll down, it becomes ‘below the fold’. How does a blog help a business grow? Having a business website where you can post blogs about your products and service is a great way to enhance the image of the brand as well as keep the customers updated. How to make my blog popular? Well, you really cannot attain overnight success with blogging as it doesn’t involve any secret formula. All you need to do is know your audience well, what they like and how you can impress them. This way you can at least make your blog successful. Which is the best place to start off blogging? Hands down the ultimate place to begin blogging is WordPress. It is a user-friendly and easy platform that is just the best place for a blogger to start his/her career in blogging. You can blog as much as you want to, but if you want an approximate range then three to four times a week is definitely suggested. This way you can let your site grow in terms of content flow and also gain traffic.